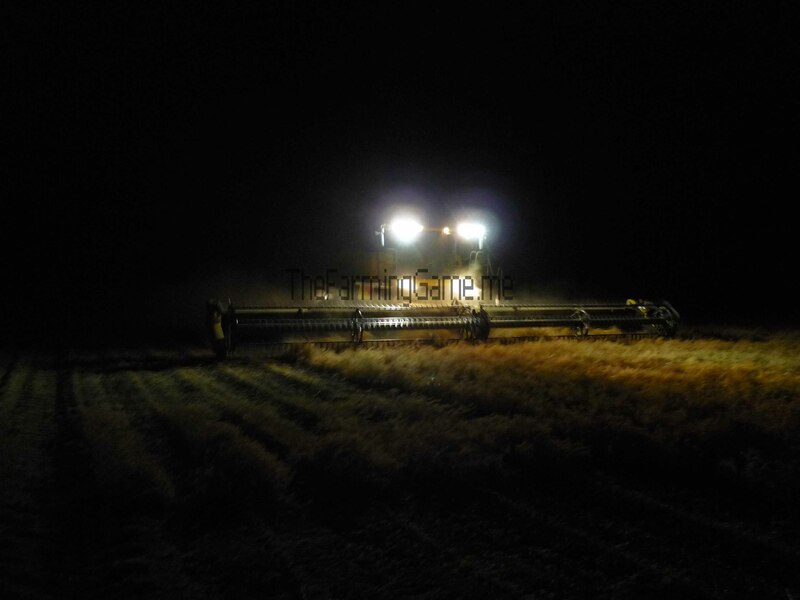 The New Holland header arrived on the farm at 6pm last Thursday ready to start the chickpea harvest as soon as it could, by the time I arrived on the scene the following morning it had already done 30 acres during the night empting the header straight into the field bins. 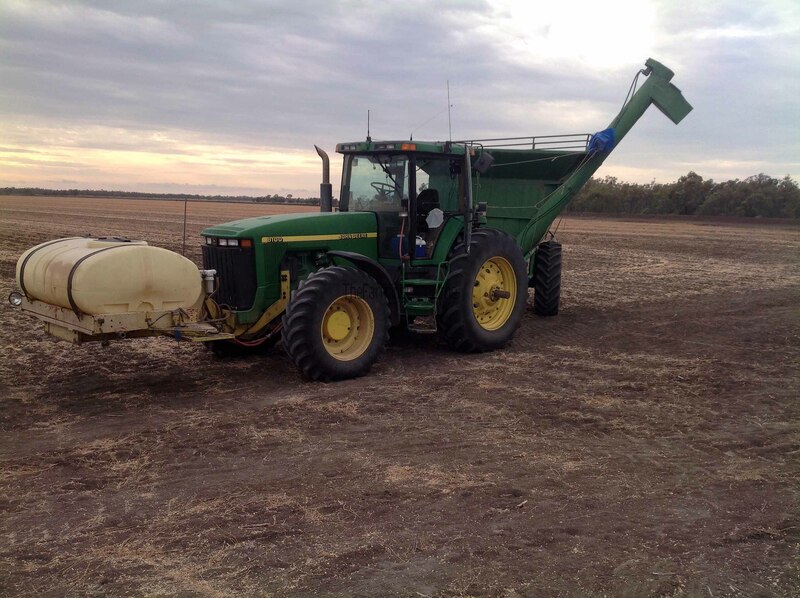 I was on the chaser bin, it goes into the field to unload the header and take the grain back to the field bins where it waits to be collected by the trucks and taken to town. The harvest got off to a rough start with the header blowing a hydraulic hose and being down for a few hours while the operator tried to source and fit a replacement part. After the hose was fixed we were up and running again for a few hours before stopping to blow down the header, the header is blown down with air from a high powered air compressor to remove plant dust and help prevent fires (Chickpeas have a reputation for fires). Unfortunately our efforts were in vain as the operator smelt smoke a couple of hours later and rushed to put out the fire. He initially found smouldering chickpea dust behind the battery compartment and worked to put it out with his water bottle while I brought the water tanker over to header (luckly we keep it close by just in case). We soon found that it wasn’t just behind the batteries and was actually over most of the header, after soaking it down and blowing it down again we continued into the night. The following day we had another two fires that caused us to stop for a bit, the first was during the day and soon dealt with but the second occurred late at night and by the time it was detected it was hot enough to bubbled the paint on the side of header. Fortunately these were the last fires that we had. On Sunday a second header arrived, a John Deere to work along side the New Holland, this kept me going flat out trying to service the two headers with small eight ton chaser bin and its slow moving auger. 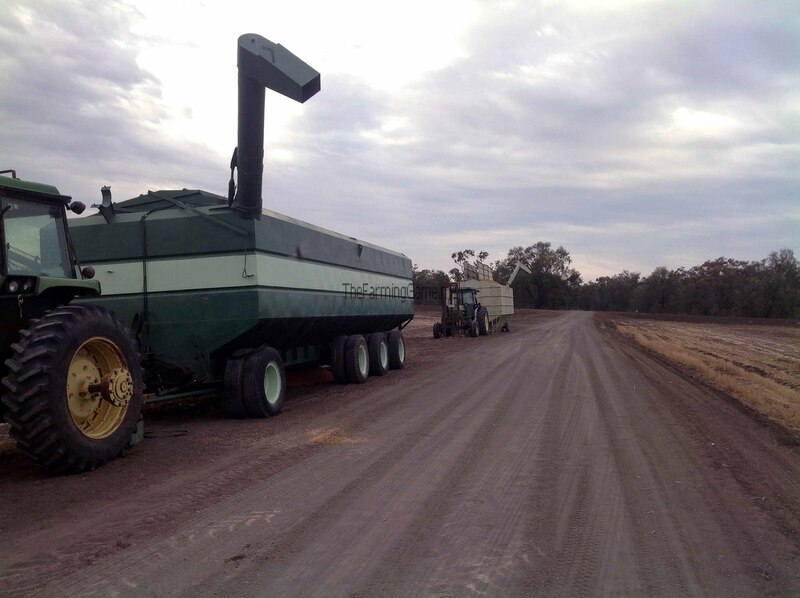 We also had to get another road train out to empty the field bins as the second header had doubled the pace of the harvest and one road train wasn’t enough to keep up any more. But come Monday we were back to only one truck and still with two headers. 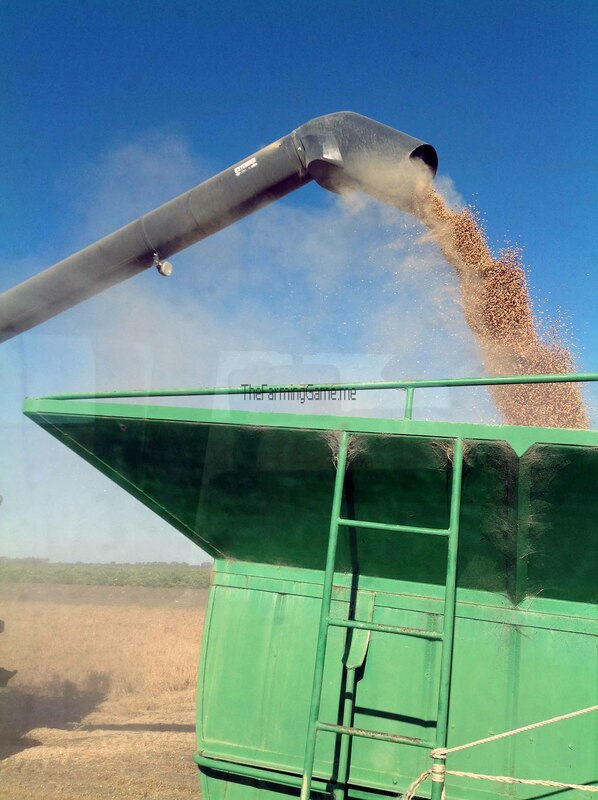 These problems were only made worst when one of the field bins had its floor auger jam under the weight of the full load, this left us with two smaller usable field bins as rushed to empty the large field bin, removing the weight and unjamming the auger. To do this we opened the slides on the bottom of the field bin and used a portable auger to empty it directly into the truck, once we a had removed enough of the weight in the bin we manually moved the floor auger back and forwards to try and get some movement in it. Luckily we were able to free it up and getting it going again relativity quickly and the harvest was soon over. With any luck a video from the harvest will up on YouTube soon and should appear at the bottom of the post. 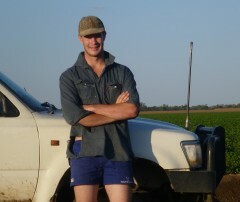 the adventures and misadventures of an ag college student and beyond!